Call 281-410-5337 and get a quote! are cheaper than our competitors. Our Title Loan Buyout program is among the best in the industry. If you qualify, we’ll pay-off your existing title loan and refinance it with a new Low Rate, Low Monthly Payment Title Loan. Our Title Loan Buyout Program is easy, and we’ll help you through every step in the process. Call us now and we will help you with your existing Title Loan using our Title Loan refinance process. How Do Car Online Title Loan Buyout Work? Getting a car title loan or motorcycle title loan with Advantage Finance LLC is easy! The entire process can be completed in as little as 30 minutes. And the best part is, you get the cash you need while continuing to use your car or motorcycle! Let us know your car’s specifications, including its model year, make, model, style, and estimated mileage, along with a bit of basic contact info. 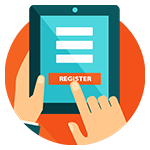 Our easy online application form lets you note everything on one page in a matter of seconds. Make sure your car is up to the challenge. When you apply with us, it helps if you have a clean car title with no liens against it. As long as you’ve got that, we can work with you on the rest. Look for one of our Advantage Finance LLC locations to pick up your cash. With convenient locations across Texas, there’s always one that will be convenient for you. Check out our current locations list to quickly find your best option. If you need fast cash to deal with an unexpected expense, you should consider a Title Loan Buyout in Houston. Or, if you have an existing 30-day Title Loan from another company, we can help you refinance and get you a better interest rate and easier payment terms by our title loan buyout program. We’re Advantage Finance, LLC, and we’re a Houston based finance company specializing in title loan buyout and helping people just like you get the cash they need.We have programs unlike all the others, so if you need cash for an emergency, you should give us a call. Here are just some of the advantages we offer our customers. If you need cash, we can help. 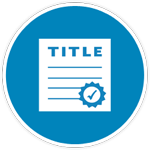 If you have an existing title loan, we can help. We have satisfied customers throughout Houston and the surrounding areas. Connect with us using the contact form HERE or give us a call at 281-410-5337. The amount – How Much Extra You Pay – in the table above, represents money in your pocket when you choose a title loan payoff from Advantage Finance. Call us today and see how much YOU can save. Advantage Finance, LLC, is the number one provider of title loans and title loan buyouts in Houston and the surrounding areas. We offer highly flexible terms and extremely low rates. We want to work with you to help you get the cash you need, so give us a call today. Maybe you have bad credit or have been rejected by other loan providers for any reason; you stand a really good chance of getting a title loan from Advantage Finance. If you have a clear title to your vehicle, we can work together to get you the cash you need. Our programs for automobile title loans, title loan buyouts, and title loan refinancing are some of the best in the industry. Obtaining a title loan from Advantage Finance is easy and fast. 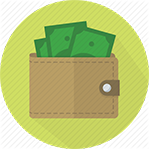 You can borrow the money you need and have your cash in as little as 30 minutes. Give us a call to see what we can do for you. Where to find Title Loans and Title Loan Buyouts near you in Houston? With four convenient locations, Advantage Finance is easily accessible from any area of Houston. We are currently serving large numbers of people from Addicks, Alvin, Arcola, Baytown, Brookshire, Clear Lake, Cleveland, Conroe, Eagle Lake, East Bernard, East Columbia, El Campo, Freeport, Friendswood, Galena Park, Galveston, Heights, Hitchcock, Hockley, Houston, Humble, Jersey Village, Katy, Kemah, Kingwood, Klein, La Marque, La Porte, League City, Missouri City, NASA, Needville, Pasadena, Pearland, Richmond, Rosenberg, Seabrook, Shenandoah, Southside Place, Spring, Stafford, Sugarland, Texas City, Webster, West Columbia, West University, Wharton, and Woodlands but if you live outside these areas, we may still be able to help you. When our Title Loans and Title Loan Buyouts can help? Have you been turned down by the large banks? Typically, large financial institutions do not like to make small loans for short periods of time. That’s where Advantage Finance, LLC, comes in. We are in the business of giving people, just like you, small loans on agreeable terms when you put up your vehicle as collateral. We loan on all types of vehicles; automobiles, motorcycles, trucks, and, even, 18 wheelers. Connect with us to see what we can do for you. Excellent services. 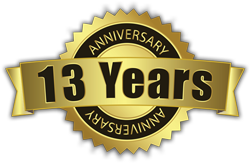 (Staff) was very helpful, patient, most of all she explains everything in detail concerning my contract with Advantage. (Staff) has great customer service satisfaction – because of her smile and courtesy to fill my need. Thank you. The services here are very professional and the staff was very friendly and she answered all my questions and explain everything to me in a timely manner. I will recommend someone else to Advantage Finance. An advance of money obtained through a payday loan or auto title loan is not intended to meet long-term financial needs. A payday loan or auto title loan should only be used to meet intermediate short-term cash needs. Refinancing the loan rather than paying the debt in full requires the payment of extra charges when due.